Phillippa Grogan, founder of Phillippa’s Bakery, in her kitchen. Photography by Eddie Jim. 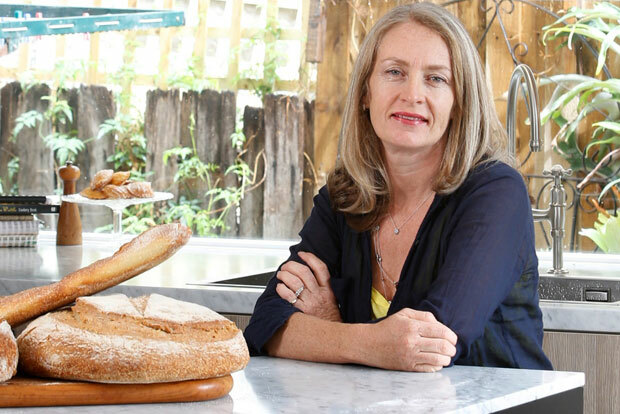 It was a pleasure to meet Phillippa Grogan, founder of Phillippa’s Bakery and the woman behind the olive loaf we often buy at the supermarket. The story was another Kitchen Spy for The Age Epicure Good Food section. Read the full story here. Phillippa has just put a book out, too. It’s called Phillippa’s Home Baking.